More songs of Merle Haggard in our show this week. 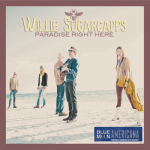 We’ve also got new songs from Willie Sugarcapps, Ben Harper, Cyndi Lauper, Peter Wolf, and Parker Millsap. Tune in for Americana sounds on Sonoma County’s newest community radio voice, 88.1 FM, streaming 24/7 at www.kwtf.fm.